Our lessons ensure theoretical knowledge is the foundation for learning about modern geographical issues. We aim to inspire pupils to develop an interest in the world around them. Recent trips have visited Iceland and North America. Topics range from traditional physical landscapes and ecosystems, and evaluating the concept of sovereignty and the nation state, to debating contemporary issues such as cultural geographies and the concept of place. We teach geographers to appreciate the interlinked nature of the world around them and to analyse and interpret relationships between each topic. 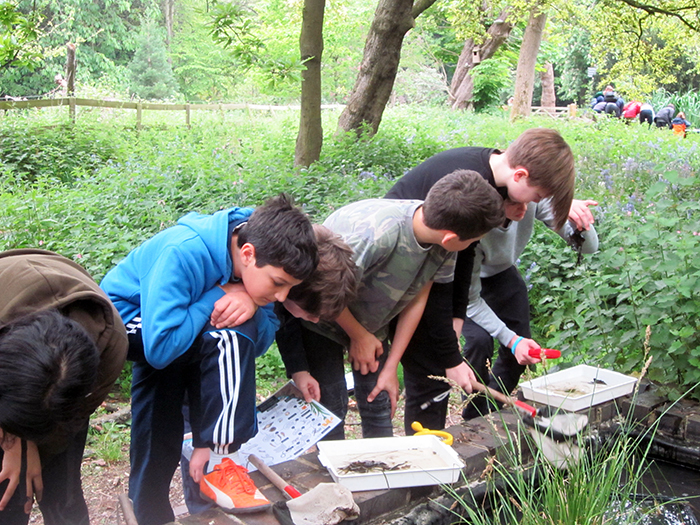 Fieldwork is an essential element, and pupils visit Holland Park Eco-Centre, Chiswick Pier, Box Hill, Stratford’s Olympic Park, Hurst Castle Spit and Wales. Pupils learn how to think spatially, develop cartographical literacy, use qualitative and quantitative techniques, keep up to date with new technologies, including GIS (Geographic Information System), and learn to investigate the world around them. Pupils of all ages explore topics such as waste, energy, biodiversity and healthy living. The Eco Council also organises events to raise awareness of Fair Trade. Enthusiastic geographers have this additional opportunity to ask questions, discover remote regions - from the Himalayas to the Sahara desert – and explore different cultures. Guest speakers regularly attend. Pupils in Form 3 (Year 7) look at UK Geography, Settlement, the Global Common of Antarctica and Glaciation. Fieldwork then introduces them to Map Skills. In Lower 4th (Year 8) students study Ecosystems, Weather and Climate, Sustainable Planet and Rivers before considering Megacities and their inequalities, as well as the concept of Place. Upper 4th (Year 9) pupils study Human Geography with the interlinked topics of Globalisation and Interdependence, Development and Tackling Inequality, finishing with Coasts and a study of the Geography of Film. There are 3 papers: Living with the physical environment, Challenges in the Human Environment, and Geographical Applications. The course offers an exciting range of topics from Tropical Storms, and Tectonics to Economics, and Sustainable cities. Students complete two days of fieldwork looking at Urban Change in Stratford and physical processes along Hurst Castle Spit as well as studying a current geographical issue. At A level there are 2 papers and an individual investigation. Physical Geography (40% ) studies Water and carbon cycles, Coastal systems and landscapes, and Ecosystems under stress. Human Geography (40%) looks at Global systems and global governance, Changing places, and Contemporary urban environments. A 3,000 word fieldwork investigation (20%) challenges students to branch out into new areas of study, including use of GIS and remotely sensed data. These are skills that universities and employers highly value and students use cutting edge techniques to make this project their own.